The specifications to the latest entry of Nvidia’s Pascal lineup have been leaked onto the internet, and the new GP107-A chip ticks all of the boxes you’d expect for the GeForce GTX 1050 Ti. Fortunately, along with the leaked specs (thanks to a GPUz screenshot) a few benchmarks for the new card have also appeared, providing us with a tantalising idea how the card will perform. The specifications for the GeForce GTX 1050 Ti place the new card at the performance level of the Maxwell based GeForce GTX 960 (which we’d previously reviewed), but does so without the need to plugin a PCIe power molex, making the card an excellent candidate for streaming video, light gaming and other uses in SFF systems. The GTX 1050 Ti will be the ‘entry level’ Pascal experience, and as such features just 768 CUDA cores operating at 1291 Mhz core but boosting up to a fairly conservative 1392 MHz. 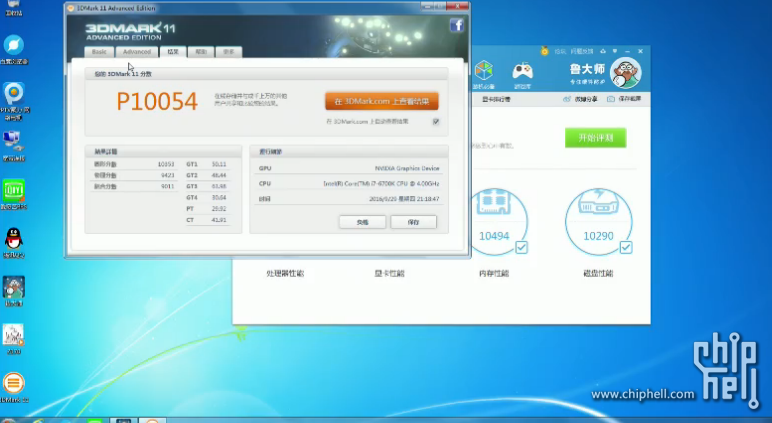 While GPUz is reporting the card to pack in 32 ROPS and 64 TMUs, the latter number sounds rather suspect. Every SM inside Pascal contains 128 CUDA cores and also 8 TMUs, so it’s much more likely that the final number is 48 (768 / 128 = 6 SMs. 6 SM’s * 8 TMU’s = 48 total). 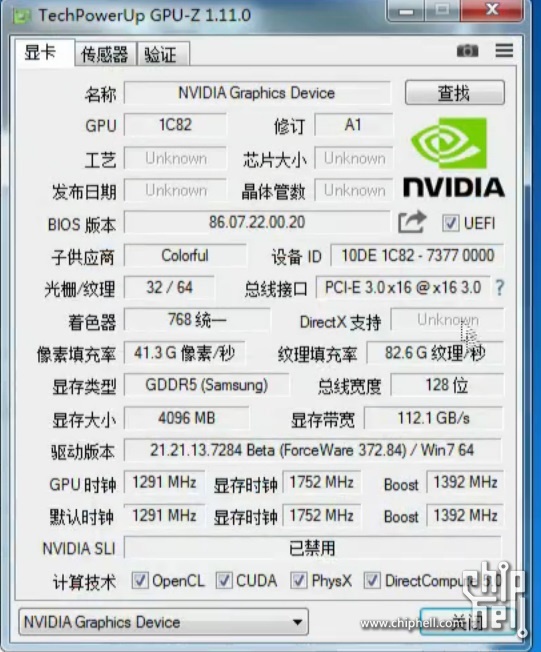 Finally, for local memory the GTX 1050 Ti features 4GB of GDDR5 RAM operating at 1752 Mhz, but is naturally hampered with a memory bus of just 128-bit, leaving a grand total of 112.1 GB/s bandwidth. A couple of 3D Mark images has also popped up, which shows a score of P10054 (which is 3D Mark 2011 performance preset) and X3867 respectively (extreme preset). To echo the above statement, this will mean that the card should eek past the performance offered by Nvidia’s GeForce GTX 960, with the 1050 Ti possibly slightly further ahead depending on the game / application. Nvidia are pretty busy right now, as not only are the company releasing the GTX 1050 Ti, but of course we’re waiting for the formal announcement for the GTX 1080 Ti and finally there’s GeForce 11 – which won’t be Volta, but instead a 14nm Pascal refresh (with Volta the year later). So, assuming the release price of $140 – 160 US Dollars, Nvidia should have a pretty nice GPU on its hands… mostly due to the absence of extra power connectors. Just how the GPU will fare in actual games and applications against the RX 470 or RX 460 from AMD remains to be seen. Tagged with geforce, geforce gtx 1050 ti, gpu, graphics card, gtx, nvidia, pascal.